Among the latest trends in dieting and general productivity is Bulletproof Coffee. Unlike your average cup of joe to start your day, there is some detailed steps in order to create the ideal cup of this warm morning beverage. Best of all, you can skip out on breakfast all together with a healthy serving of this, as it will keep you energized and suppress the hunger that might be keeping you from achieving your desired weight goals. To create this new fad diet/energy drink though, you have to know what’s in it. It begins with official Bulletproof coffee beans, prepared with a French press. If you don’t have one, you can still make the drink, but you are losing some of the essential oils in the process of using the traditional paper filter. Next you are going to add in 1-2 tablespoons of a compound called Brain Octane Oil, also distributed by the company. Add in 1-2 tablespoons of organic unsalted butter. Blend until it looks like a foamy latte. As you might have noticed, the blender is a critical part of this recipe. If you don’t currently own a blender, here are some of the best blenders for making this new dietary beverage. Having control at your fingertips doesn’t have to be something that costs you a fortune. 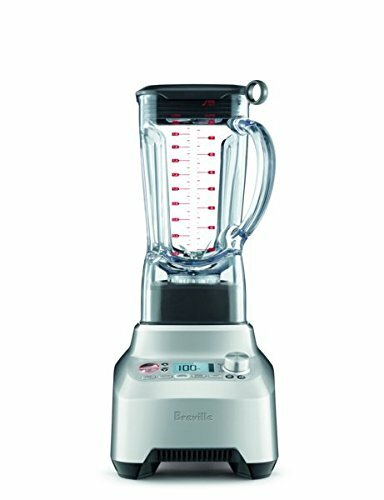 While this might be deemed among the premium options out there, this blender is versatile and impressive. It has a slew of features that make it easy to use, while simultaneously customizing your experience for each and every concoction that you make. 5 One-Touch Preset Modes: It might not seem like much, but having the ability to completely blend a concoction in your blender at the single push of a button is the definition of easy. Choose among 2 smoothie settings, frozen dessert, soup and ice crush presets. Prokinetix Blades: Blending at its best with these impressive stainless-steel blades. Built to shred anything in their path and leave a smooth consistency, these are more than adequate to bring together your Bulletproof Coffee each morning. Ideal For Any Style of Drink Preparation: While this is certainly ideal for your new coffee concoction, the possibilities are virtually endless when it comes to beverage preparations. Final Verdict: It is with good reason that this is deemed to be the best blender for Bulletproof Coffee. As you can see from the features listed above, there is little that you are not going to be able to do in the realm of blending, and to have the speed controls and thorough blending, you are going to be left with a refreshing latte style morning brew day in and day out. Ninja has become quite a trusted name in the world of residential blenders. Perhaps even more impressive than the quality products that they create are the reasonable prices that they usually carry on all of their products. This particular blender is a top choice for your budget because it doesn’t pull punches in terms of quality, but it isn’t going to break your bank either. Powerful: Appreciate the power of 1000 watts blending your drink into the perfect consistency. Crushing Blades: Gone are the days of grittiness. Total crushing blades leave a smooth and true blend each and every time. Dishwasher Safe: Each component (except for the base of course) are dishwasher safe. This makes clean up a snap each and every day you use it. 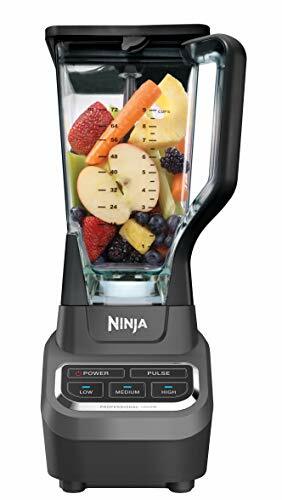 Final Verdict: If you are looking for a reasonably priced and impressive blender, this Ninja Professional is just what you are after. 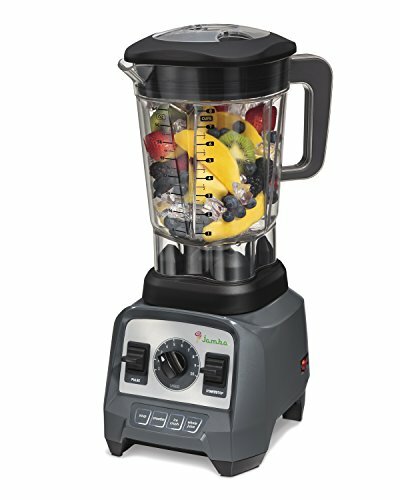 Are there other blenders out there that have more features and functions? Yes. The important thing to remember is that if you aren’t planning to use a blender for anything more than these specific drinks, you won’t need the high dollar models. With a large jar, this Jamba product has the ability to make a lot of drink at once. With its refined blending technique, you will be left with a smooth finish on any beverage you make. For Bulletproof Coffee, you will find that the powerful motor can adequately and thoroughly mix the ingredients to perfection. Fast and Powerful: Blades within this blender spin upwards of 210 MPH. This larger 2.4 HP motor has all of the power to make your favorite drinks with ease. Infinite Speed Dial: Unsure of what speed you want to blend at? Appreciate the unparalleled control of the infinite speed dial. Now you choose the speed in excess of 200 MPH rotations of the stainless steel blades inside. Low Profile Design: Store your blender easily under even low hanging cabinetry with this unique low-profile design. Final Verdict: Whether you are after the low-profile design that makes storing a snap, or you just want to make a lot of your favorite drinks and morning concoctions, this Jamba blender is the ticket. If you aren’t sold on any option so far, give this particular appliance a few minutes of your time to see this for yourself. Boasting a unique blade design and impressive power through its QuattroPole motor, this Kenwood appliance could easily find a permanent spot on your kitchen counter. With a lot of the same bells and whistles that you might expect from blenders costing much more, this is certainly another one that you should seriously consider before you officially have made up your mind about your new blender. Multizone Blade Technology: Get over thirty percent more cutting with this unique shaped blade base. This will save you time on more complex blends, and have the simple creations done in mere seconds. 6 Convenient Presets: Having one touch presets is a luxury when it comes to good blenders. With your ability to choose among the level of blend that you want, this blender can become a daily implement with your cooking as well. High Torque Motor: The QuattroPole Motor is among the best that money can buy. It will take even the most damaging of creations and slice through them with ease. Final Verdict: While you might not always hear about Kenwood blenders, this is a product that is well worth your time and your money. 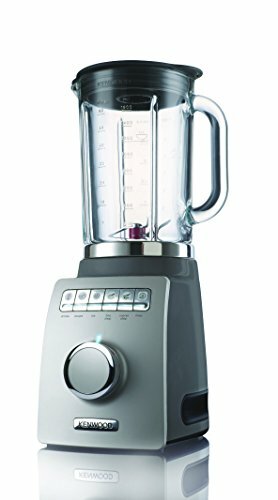 For each of the blenders that have been named, this has nearly as many features and functions as the most premium of brands that exist right now.